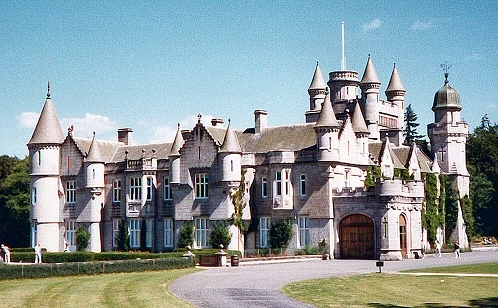 Description: Balmoral Castle is famous as the highland holiday home of the Royal Family. Purchased by Queen Victoria in 1852, the castle was rebuilt to designs by Prince Albert. Some rooms are open to the public when the Royals are not in residence and there are fine walks in the surrounding countryside. See also Crathie Church. Description: A view of the castle from the other side. The large doors open onto the ballroom where an exhibition is sited. 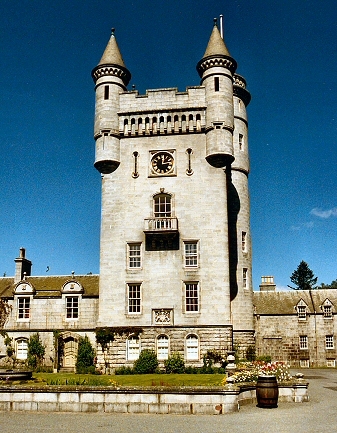 Description: This view shows the Balmoral Castle tower. 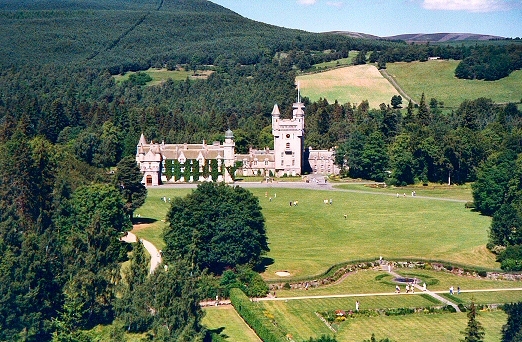 Description: There are many woodland and hill walks available on the Balmoral estate. This view of the castle is taken from the hills to the south. 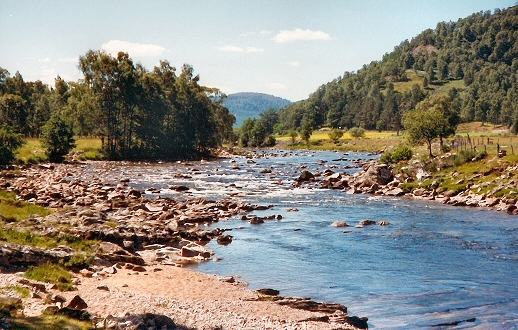 Description: One of the many walks on the Balmoral estate enables fine views of the River Dee. 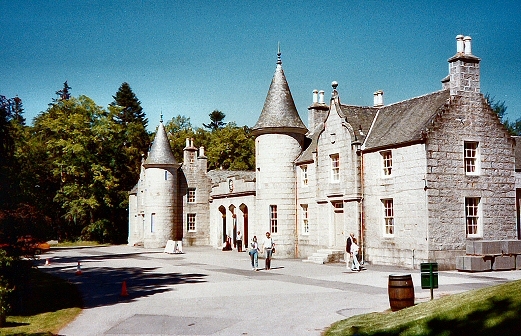 Description: This view shows the Royal Stables at Balmoral.